I received a breastfeeding butterfly from Faye & Lou to try out and give my honest opinion. 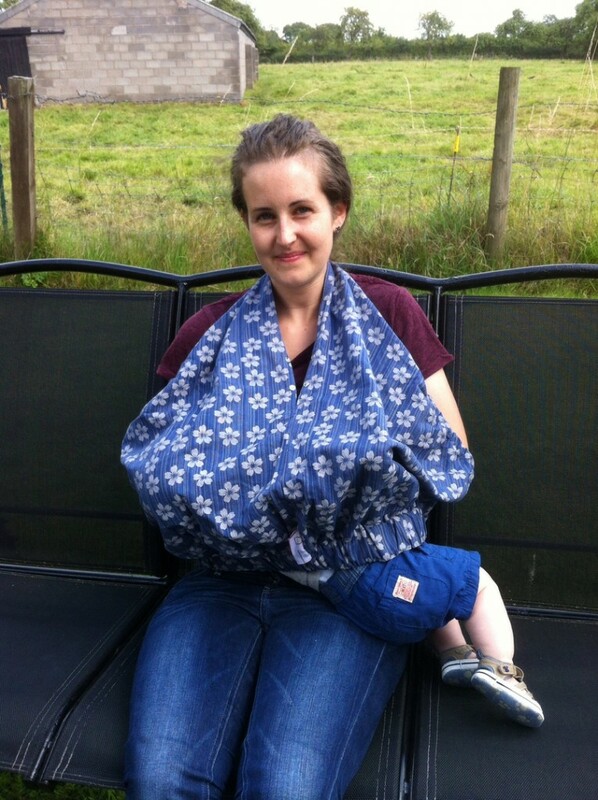 The breastfeeding butterfly comes in two colours and I received the denim flower print which I think is beautiful, it is stylish without going over the top. It also comes with a matching bag that it can be folded up into easily and is very small for taking out in your changing bag without adding bulk. The packaging has clear instructions of how to prepare the butterfly and also includes step by step diagrams. 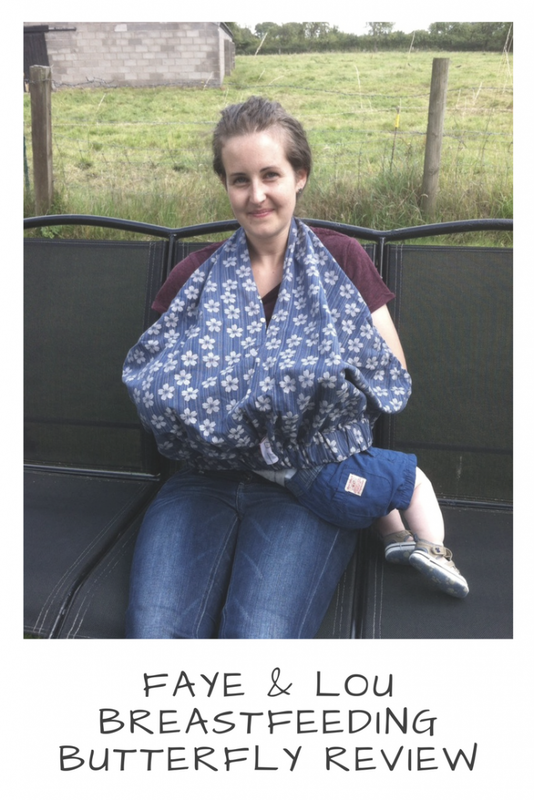 It can be worn in two styles, I felt most comfortable with it draped over my neck, however I think if I had used this when Lucas was smaller I would have used it in the shoulder position. Once the butterfly is tied, it can be used on either shoulder without having to adjust it. Lucas is exclusively breastfed and I have used nursing tops since having him, 5 months on and I still struggle to discreetly manoeuvre myself out of them which causes me to feel uncomfortable when I am out in public and that passes onto Lucas who is eager to feed with mummy trying to sort herself out. Lucas has also recently started to wriggle around a lot more when feeding as well as just being nosy, popping off my breast to see whats happening around him and then wanting to go back on.